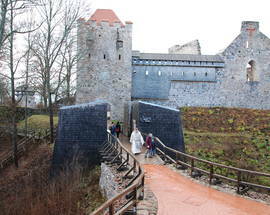 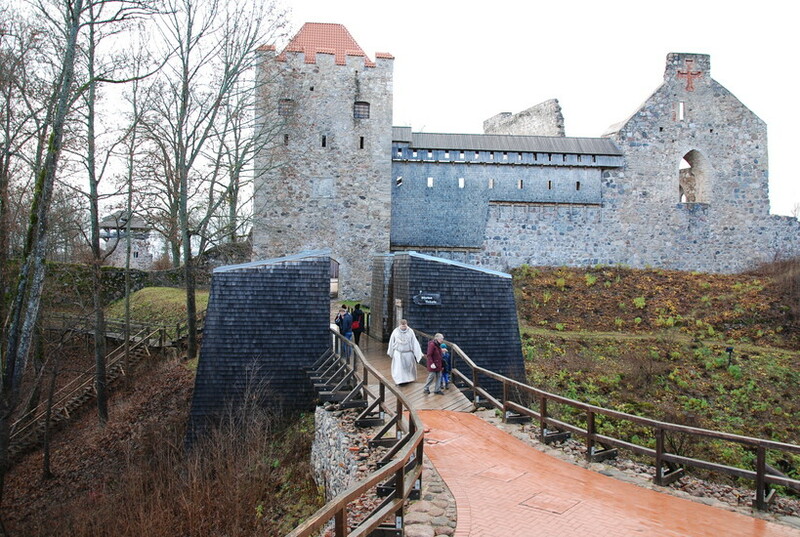 Built by German crusaders from 1207 - 1226, the castle was the first stone fortification constructed outside of Riga by the Teutonic invaders. 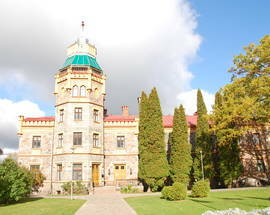 It was destroyed during the Great Northern War (1700 - 1721). 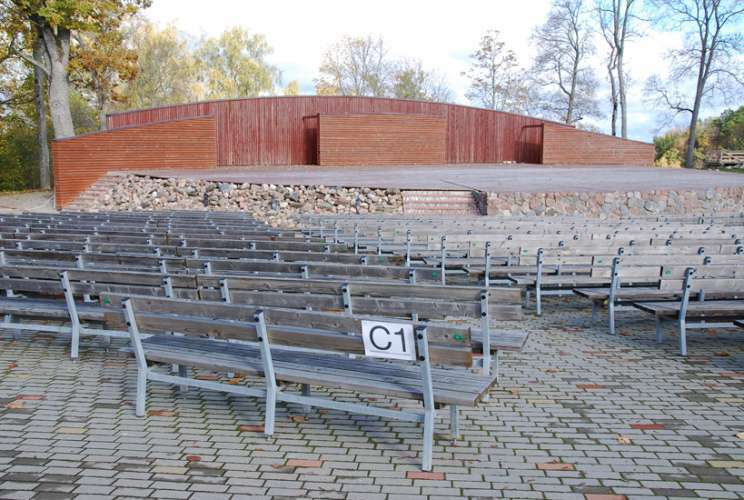 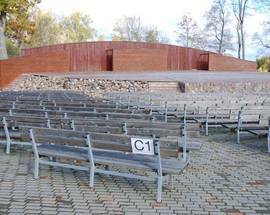 The remaining ruins including the towering stone gate and the abandoned Gothic cathedral have been partially restored and an outdoor theatre built nearby for summer concerts. 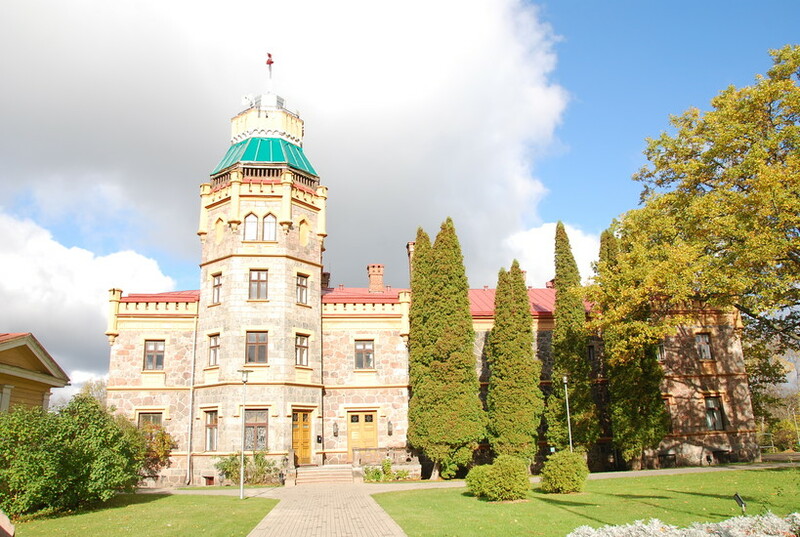 The adjacent manor house flying the maroon and white flag of Latvia was built in the second half of the 19th century and now serves as the seat of the town council.